SPECIAL EVENT this Friday 6:45pm! 1 Response to SPECIAL EVENT this Friday 6:45pm! 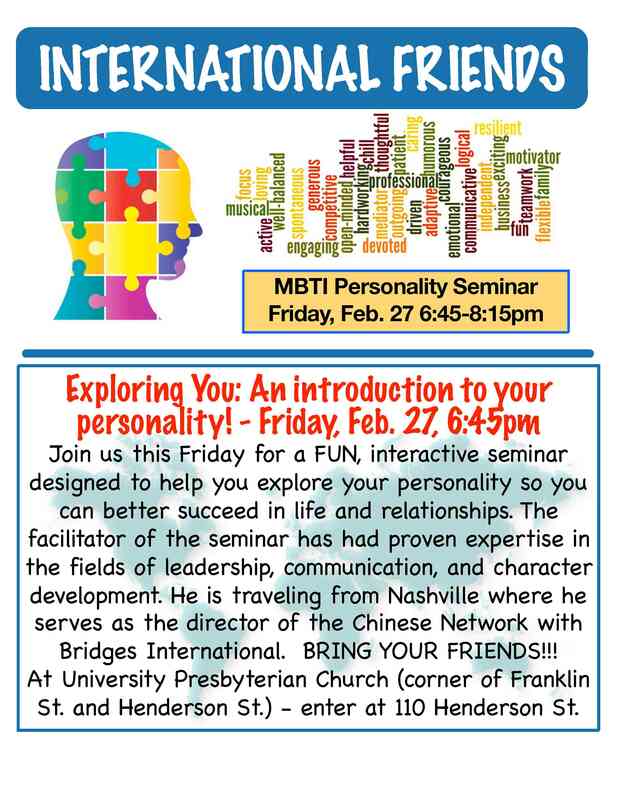 The Personality Type Seminar on Friday at 6:45pm has been CANCELED. Our special guest speaker’s flight was canceled due to the snow storm. We will be rescheduling this event for sometime in March.